Hi everyone! It is me, Jake, from Seika Town office! 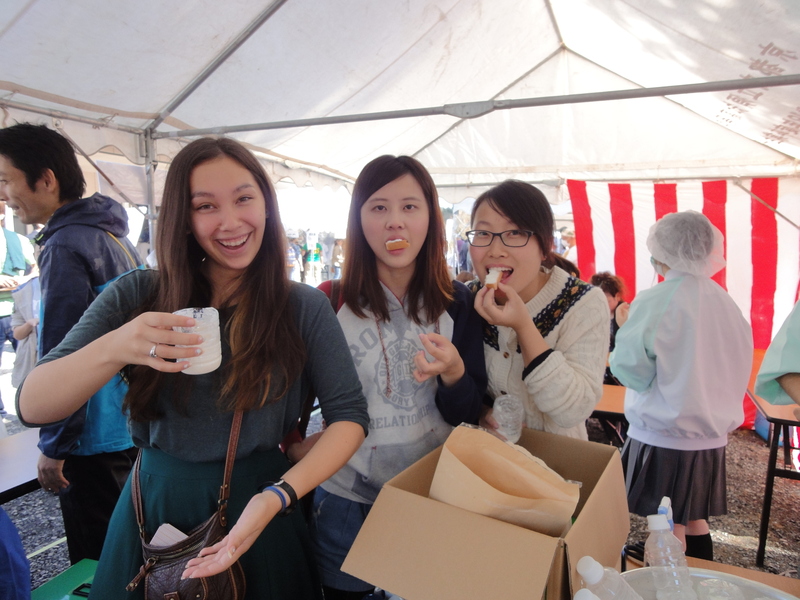 Today I am going to talk about the field trip that Alice and I did in Seika in November. Seika is the center of the Kansai Science City, so it is home to many research facilities, factories and educational institutions. 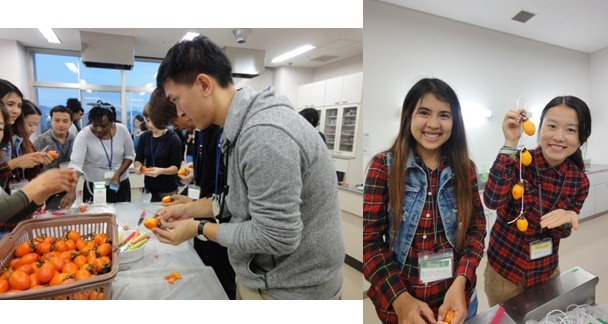 For this field trip, we invited foreign residents from countries all over the world to come take part in the Information Communication Fair, explore Keihanna Memorial Park and learn to make dried persimmons and onigiri at a potluck party with Seika residents. 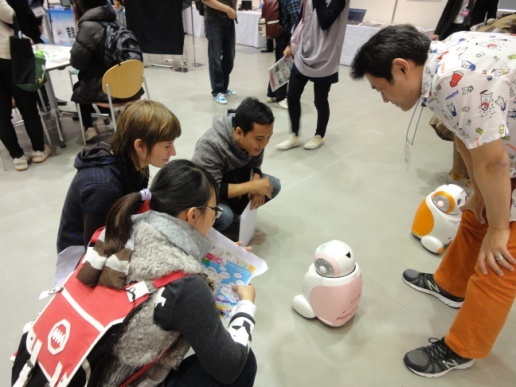 On the morning of the field trip, the group gathered at Kyoto Station and took a bus to Keihanna Plaza for the first part of the event, the Information Communication Fair. Participants walked around the fair and conversed with the representatives of the various companies learning about the new technology that each company is developing. For difficult topics, volunteers from Seika Global Network, Seika’s volunteer international exchange group assisted with interpretation. 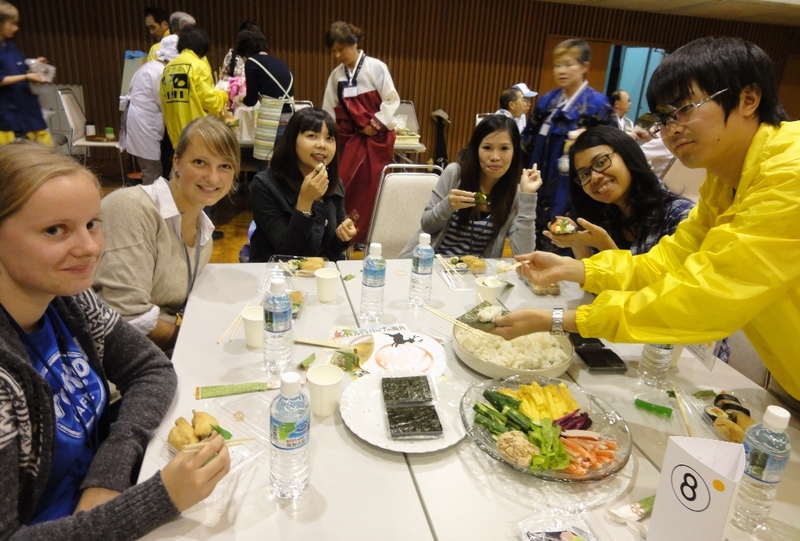 Afterwards, the participants had lunch at “La Seine” in the Keihanna Plaza building. After finishing lunch and spending a bit more time walking around the booths, the field trip moved to the Keihanna Memorial Park where participants enjoyed a bit of nature, fed the koi fish and took pictures of the park. Fall had just started, so only a few trees had turned red, but walking around the park helped everyone get to know each other better so it was still very fun. 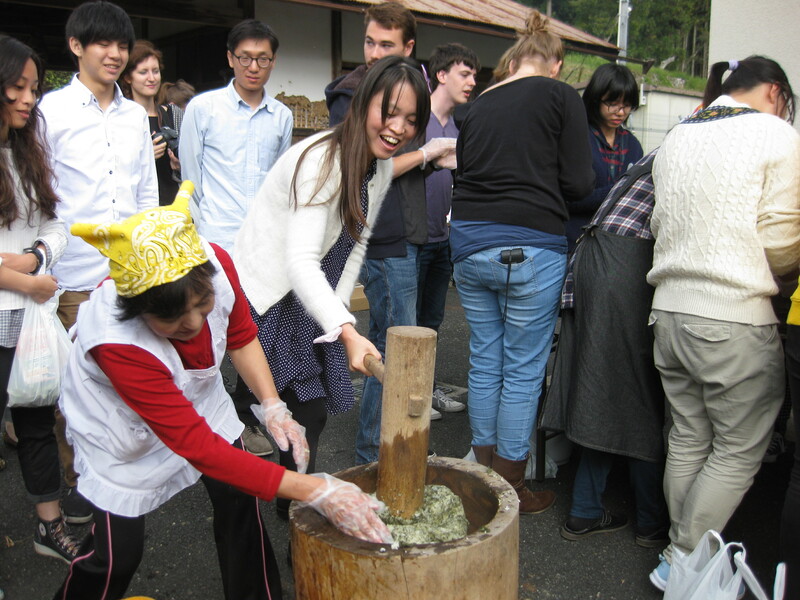 Finally, in the evening we met up with residents of Seika to learn about making Onigiri and dried persimmons. 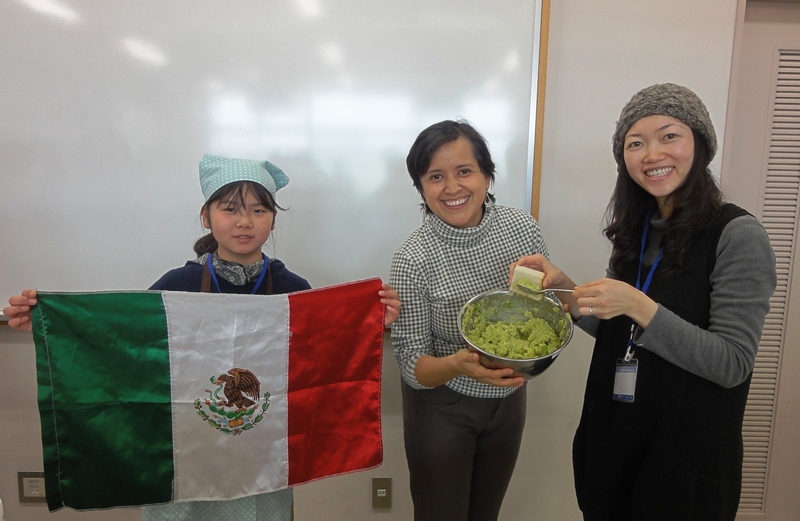 There was also a small potluck party where participants had the opportunity to try daikon radish and curry rice, as well as cakes made with Japanese sweet potatoes. 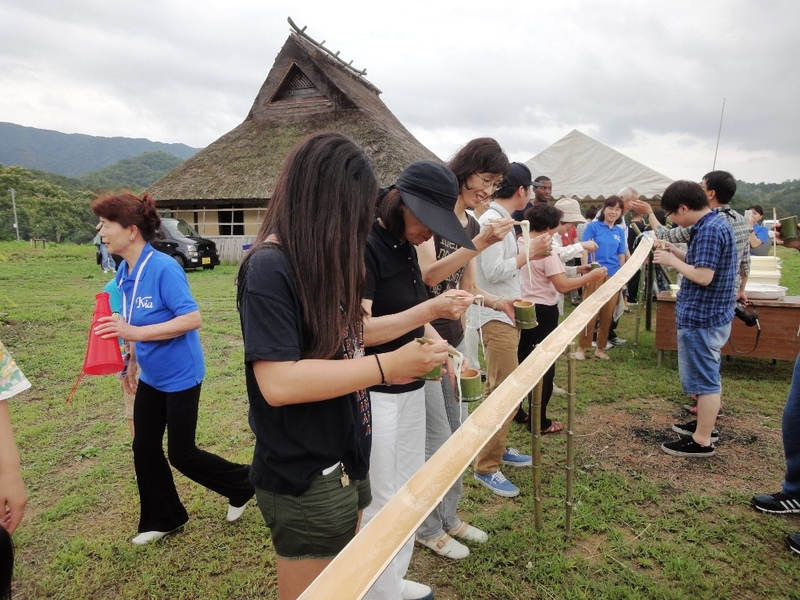 Many of the participants said it was their favorite part because they had a chance to actually talk to the people living in Seika. 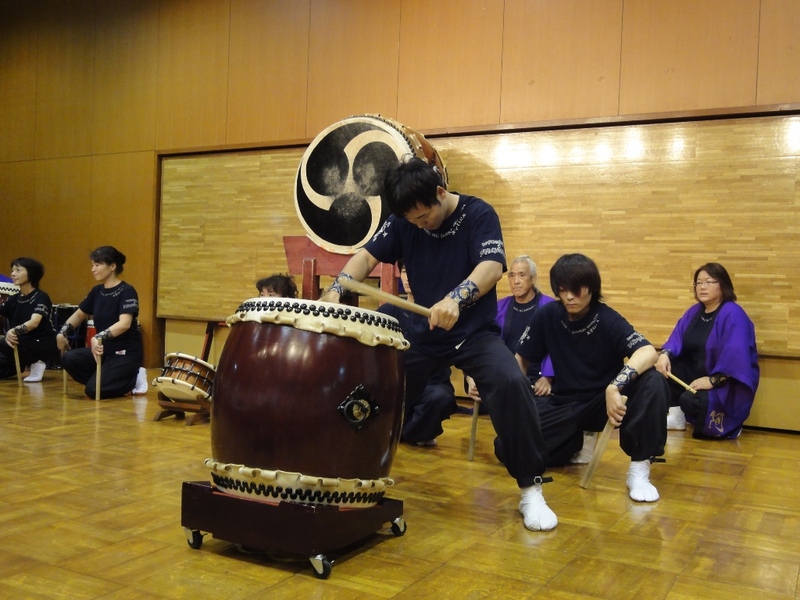 At the end of the event, the participants loaded up on a bus and headed back to Kyoto station. Everyone got to bring the dried persimmons they made home with them as well. It was a long day, but I think that everyone enjoyed themselves and had the opportunity to learn a little bit about Seika. If you have a chance, stop by and visit Seika! It’s been a while! 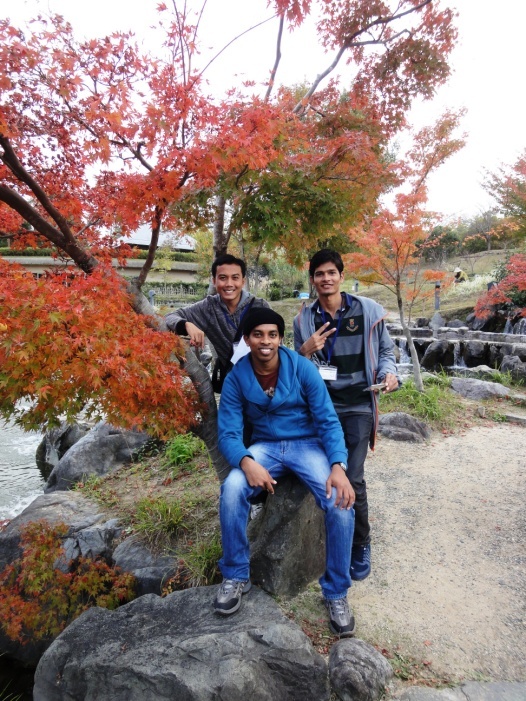 I have been pretty busy this autumn organizing many field trips in Kyoto Prefecture for international residents and students. 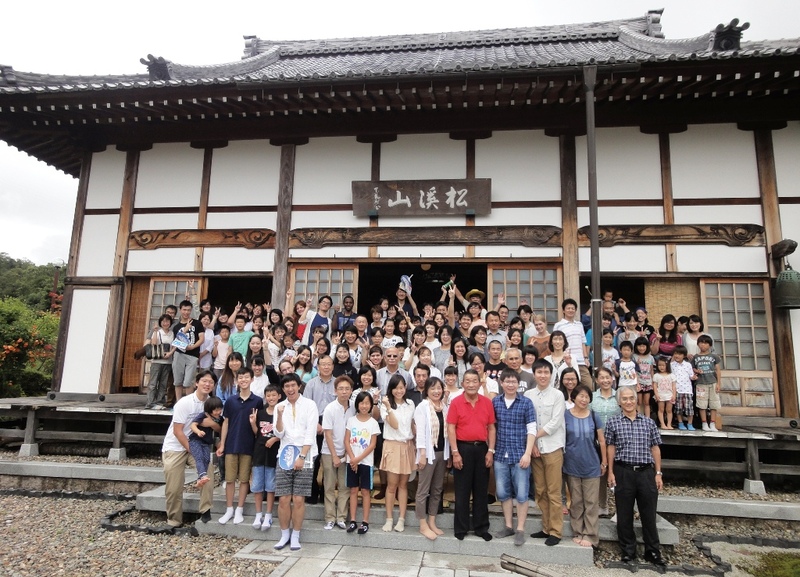 Every year we organize field trip programs in various parts of Kyoto Prefecture in a bid to introduce the charms of areas other than Kyoto City to international residents and students. 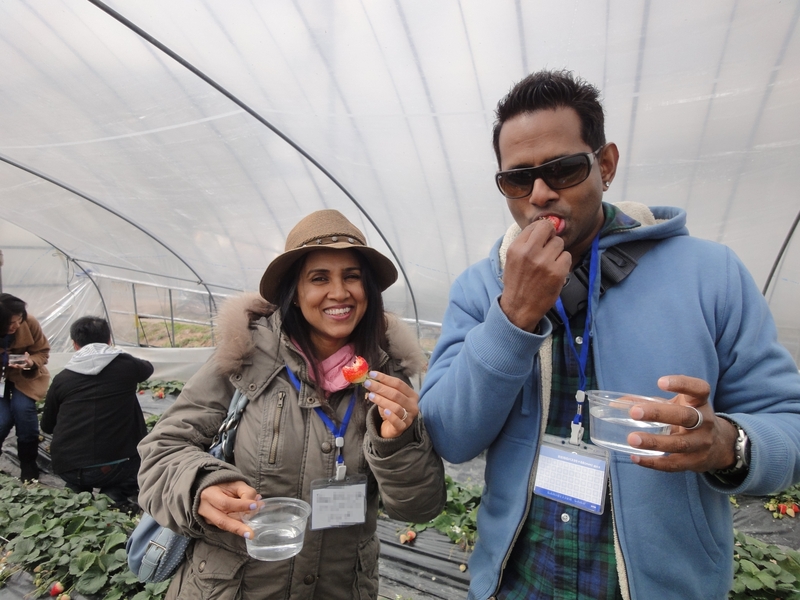 Some field trips are only one-day excursions, while some include a homestay and last 2 days. There is always a cultural experience activity and other programs that enable participants to interact with the local residents during their stay. 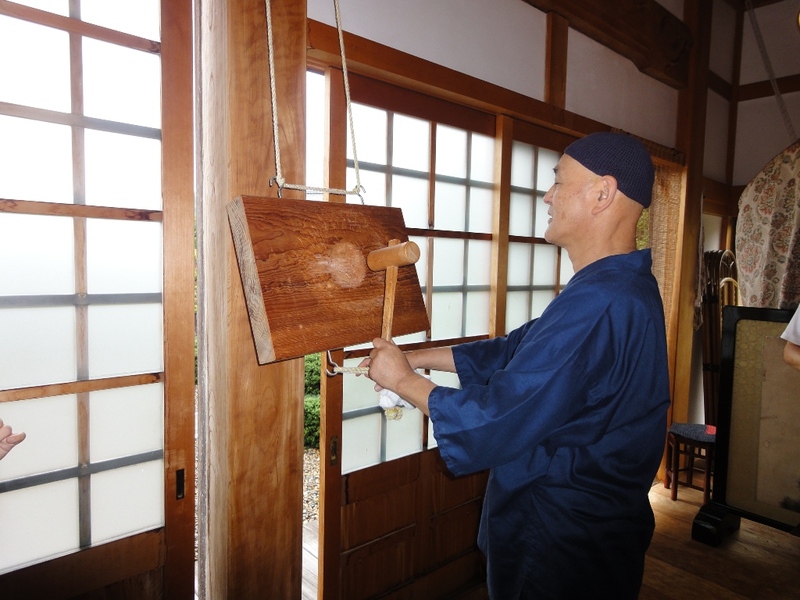 Today I would like to talk about 2 field trips we did in October: one in Nantan City, and another one in Kyotamba Town, both located north of Kyoto City but with very different sceneries and features. The Field Trip to Nantan took place on October 11th. We had 39 participants from 18 countries and regions join in. 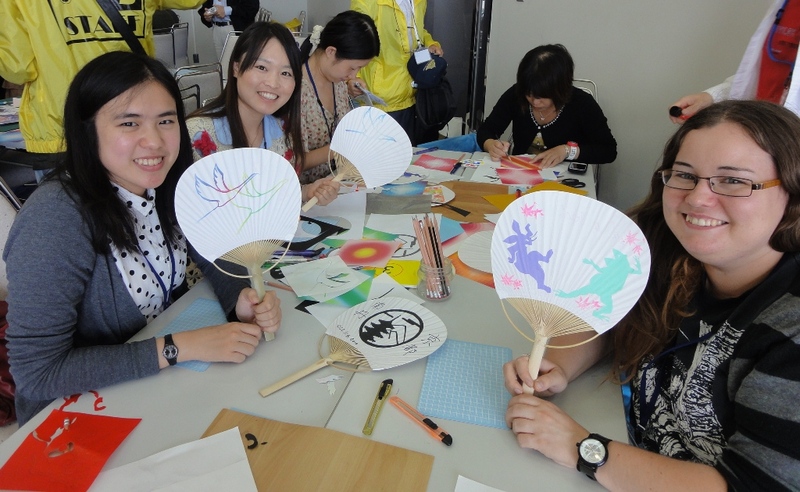 Participants were able to try making their own “uchiwa”, a paper fan used in summer to cool one down together with the “yukata”, the summer kimono. They could choose from various patterns and designs and customize their fans with colored papers, paint or stamps. For lunch, we had “temaki sushi”, hand-rolled sushi. 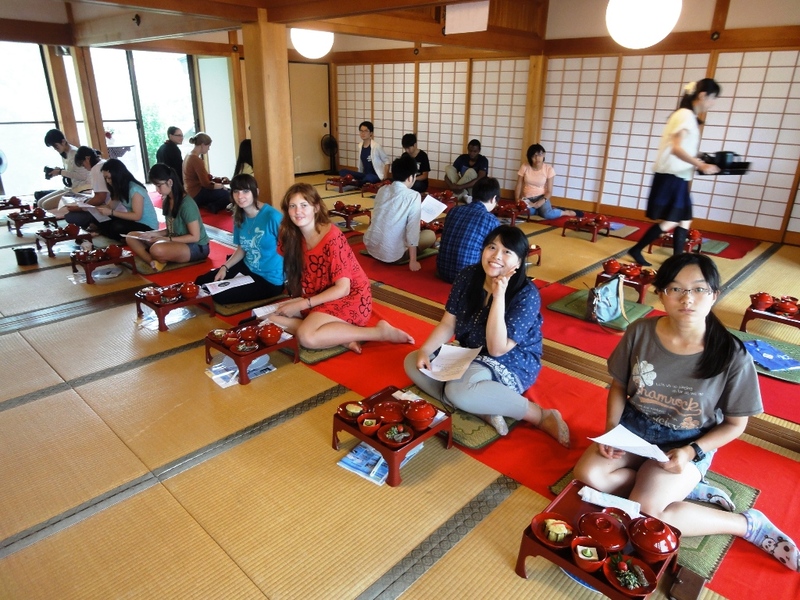 It was the first time for most of the participants to try it and they seemed to have a lot of fun while Japanese people at each table explained and showed them how to do it. As the weather was great we had also outdoor activities, with one group enjoying a walking tour of natural and historical sites, and another doing some ground golf. To close the day we had a local taiko drum band, Asyura, play a little concert for us and then letting the participants try to play the drums in rhythm all together as well. Some participants even wanted to join the team afterwards! 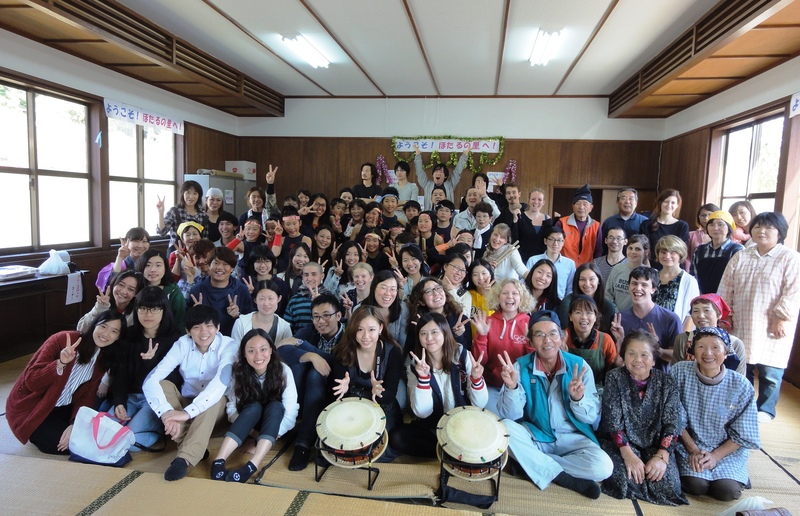 The Field Trip to Kyotamba Town took place on October 25th and 26th, for a two-day one night homestay program. This time, 40 people from 16 countries and regions joined. Local farmers welcomed us and showed us how to harvest black beans first. 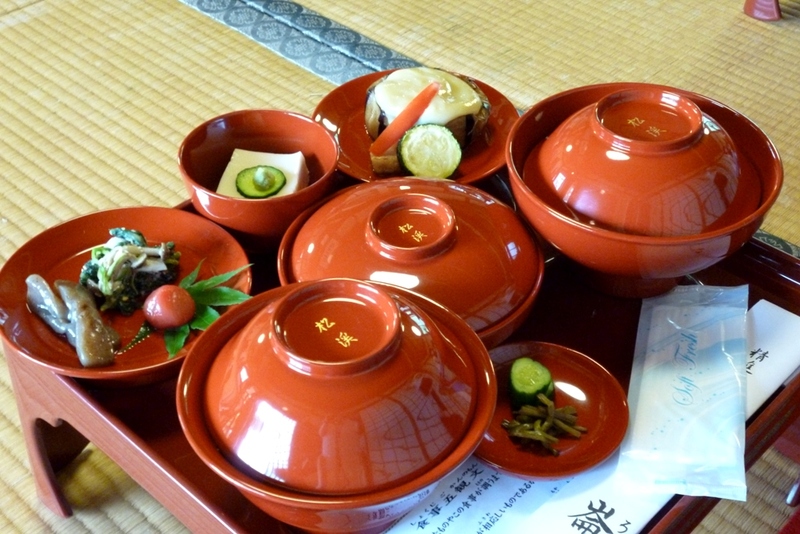 The Tamba area is indeed famous for its black beans, especially used over New Year for the traditional Japanese meal eaten on January 1st called “osechi ryori”. The ones we harvested hadn’t turned black yet as you need to leave them to mature a little bit more, but they were nonetheless delicious! 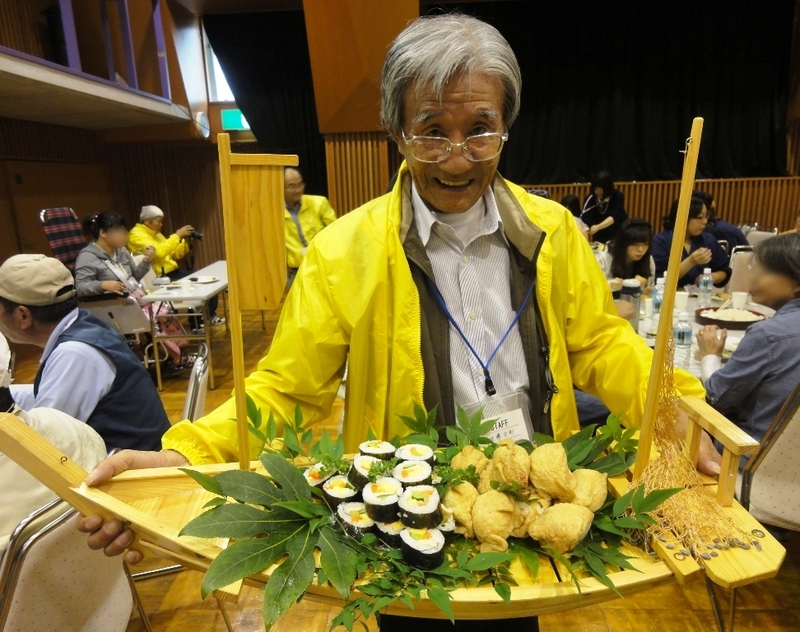 For lunch, local residents had prepared a wonderful party with rice cake pounding, a barbecue of deer meat, curry croquettes and of course black beans! A local band even held a little concert while we ate to complete the joyful mood. 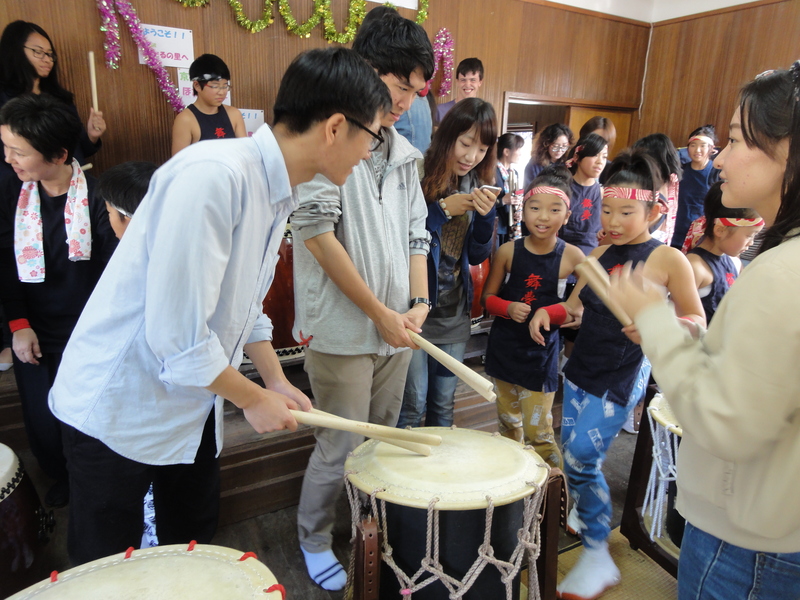 We then danced together the local summer dance “Bon Odori”, listened to a taiko drum concert by children and tried playing the drums as well. Farmers then taught us the local dialect. For example, instead of saying “Sayonara” for “goodbye”, you say “Sainara”. Or you say “Yayako” instead of “Akachan” to say baby. It was then time for the participants to leave with their host families to create unforgettable memories together. 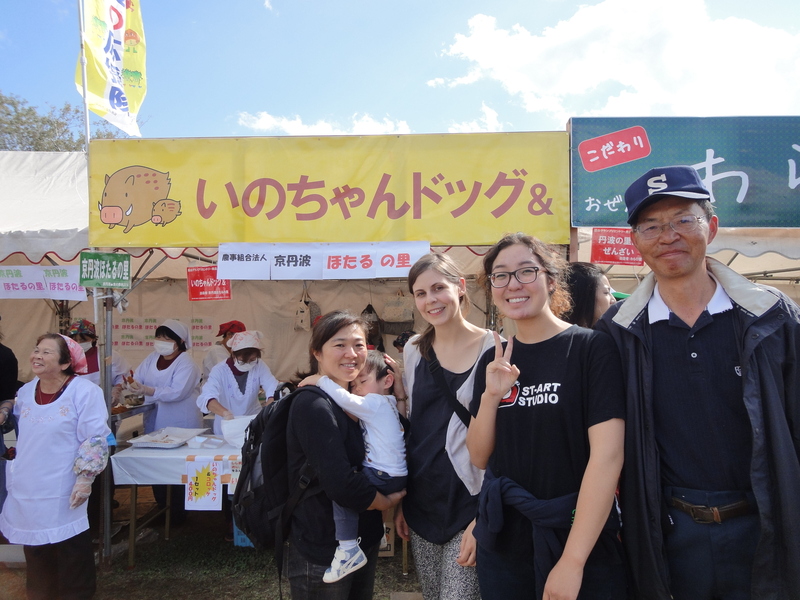 We met again on Sunday to enjoy a local food festival called “Shoku no Saiten” where you could try various original recipes made with Tamba’s specialties such as fried deer meat, ramen with deer and wild boar meat, wild boar hotdogs, coffee latte made from a chestnut paste etc. 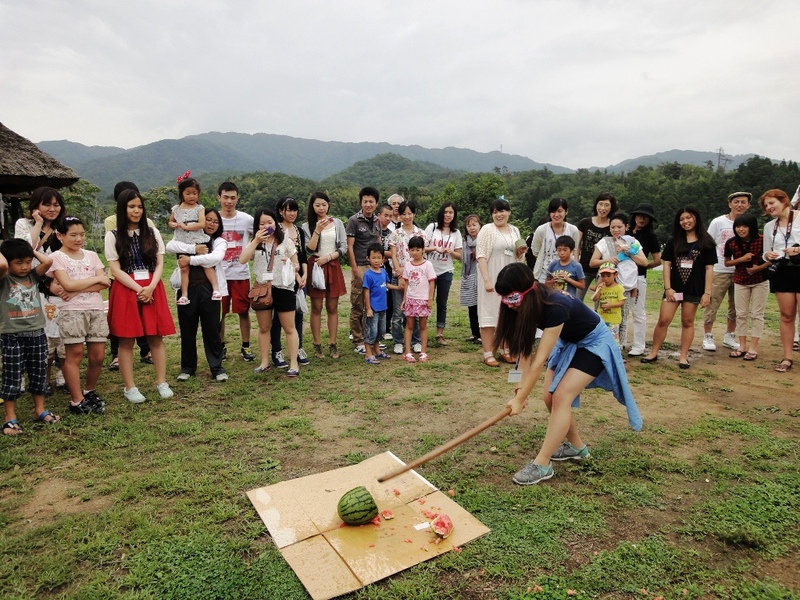 One of the venues was an agricultural high school where you could enjoy charcoal-baked pizza by the students, tea ceremony, butter-making workshop and a vegetables harvest experience among other interesting activities. It was then time to leave but I’m sure people will be back to visit their host families and enjoy the other hidden gems the area has to offer! Through these events I hope international and Japanese residents can create bonds and get to know each other better. It’s always a lot of fun too! Alice from KPIC! The weather is finally getting warmer and the cherry trees are in full bloom! 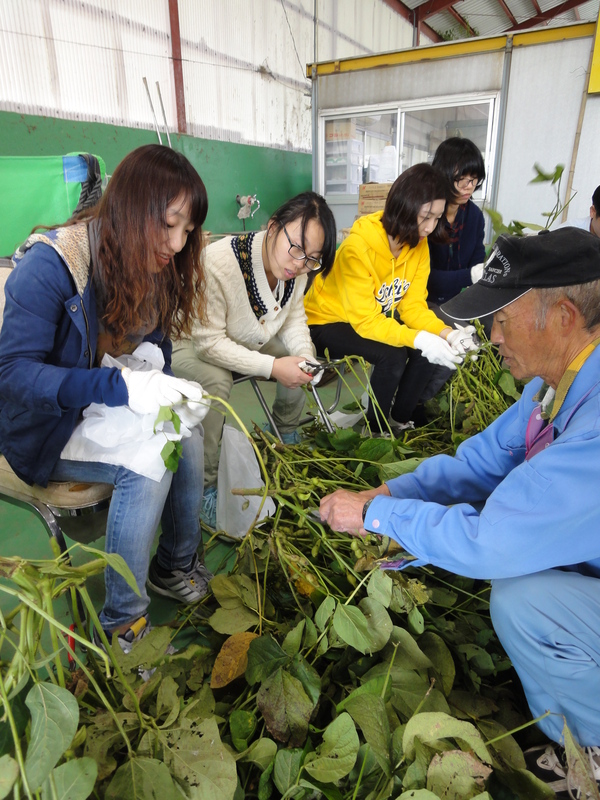 Today I would like to talk about the homestay and field trip program in Seika Town. 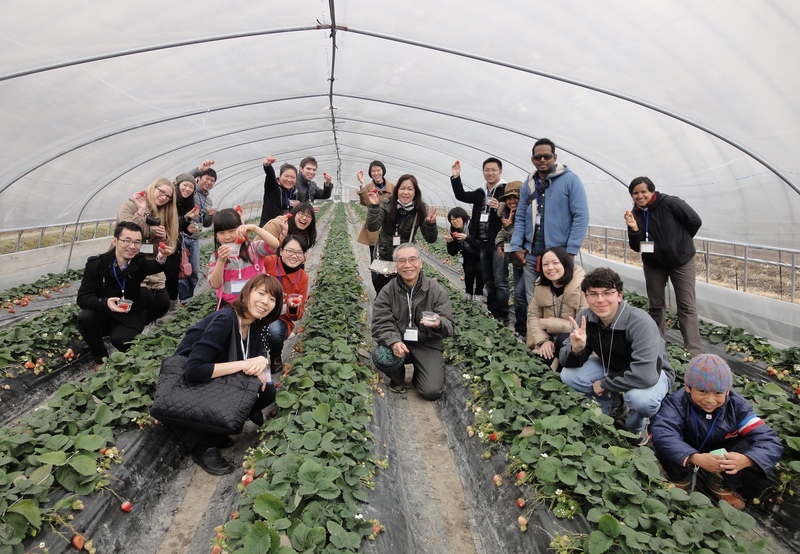 On March 15th and 16th, I went together with 19 participants to Seika to enjoy strawberry picking, world cooking and homestay with a Japanese family. 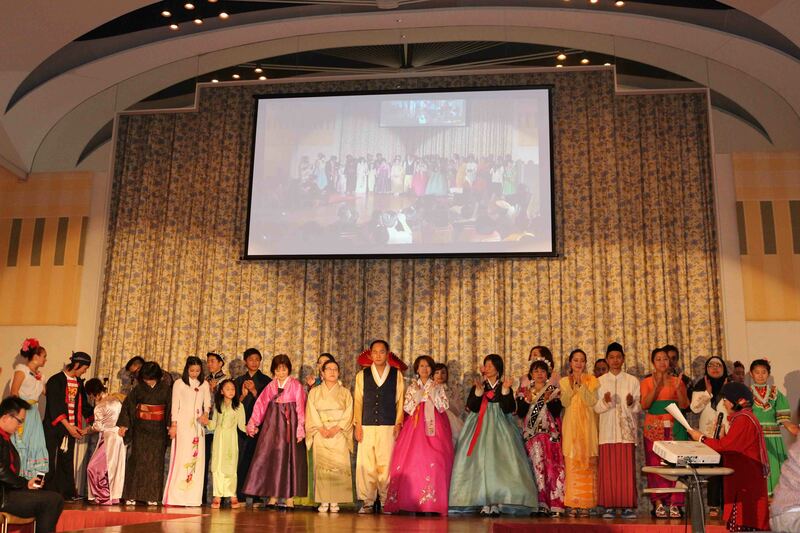 This time we had people from the USA, Mexico, Finland, the Philippines, Thailand, Sri Lanka, Korea, Vietnam and China. A world trip without leaving Japan! 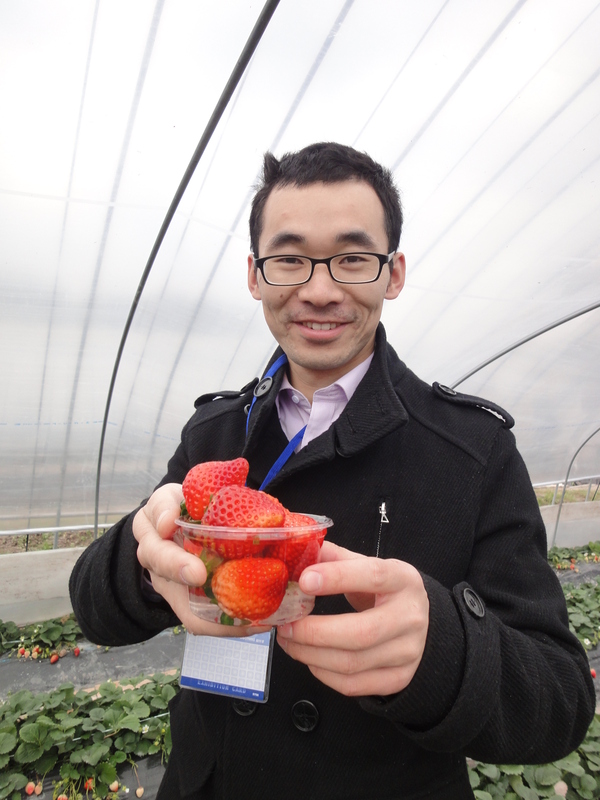 Seika’s strawberries are famous all over the prefecture for their size and wonderful taste. We had 30min to pick and eat as many as we could so everybody’s bowls were soon full of tasty strawberries! The local farmers were really sweet, explaining how to pick the strawberries without damaging the plants, how they produced them etc. 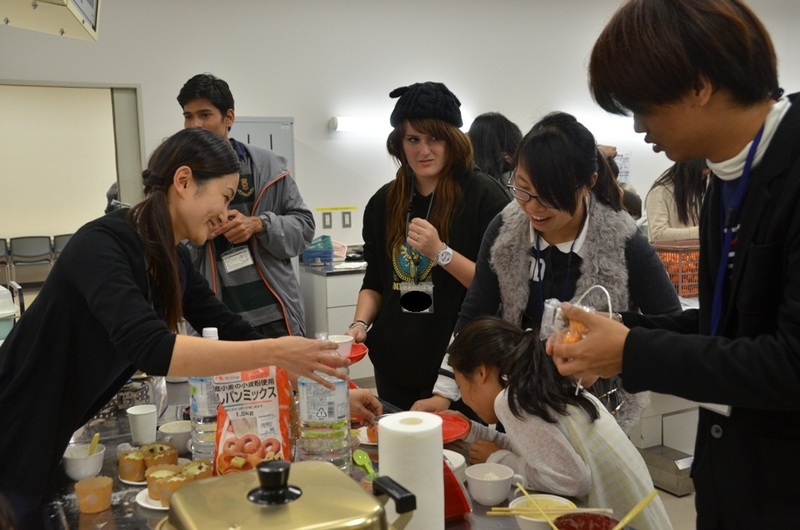 Then it was back to the community center for a world cooking session! 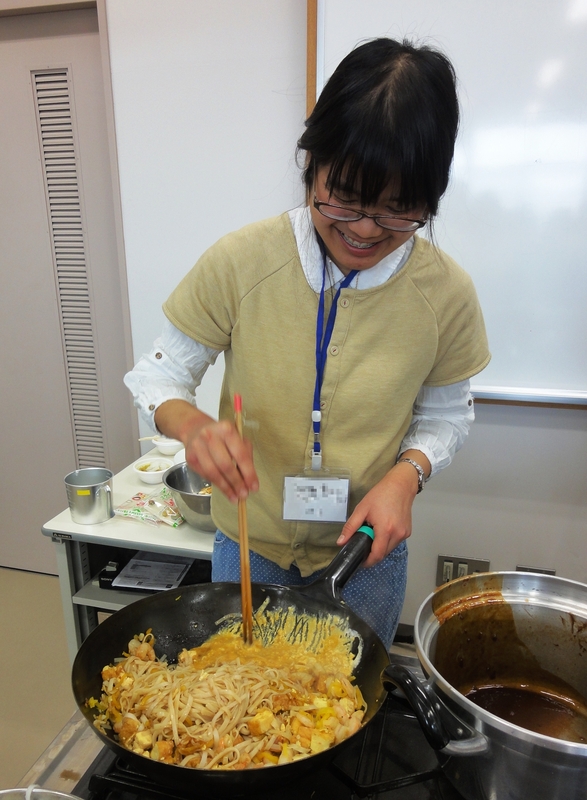 The interesting part of that program is that some participants teach the other participants how to cook famous dishes from their country. Everybody got together to create various flavors to enjoy for lunch. And varied it was! We enjoyed spicy soup and fried chicken, coca cola chicken and fried tomato and eggs from China, Guacamole from Mexico, chicken curry from Sri Lanka, Tinola from the Philippines and Pad Thai from Thailand. After lunch, we had a short talk about disaster preparedness and participants could take home some disaster goods. All the host families then arrived and participants left for their homes to spend the evening and the next day. It was a lot of fun to be able to enjoy a world tour from Seika Town on that day! It was a great time getting to make friends (and eat food!) from all over the world. Seika is a small, humble town, but it has a lot of charm, and I am glad that many people got to see that. Also, it was nice having a detailed talk about what to do in case of a natural disaster, since experts say that a large earthquake could strike at any time. I personally feel underprepared for such a disaster, and I am sure I am not alone. I look forward to studying more about disaster preparedness.